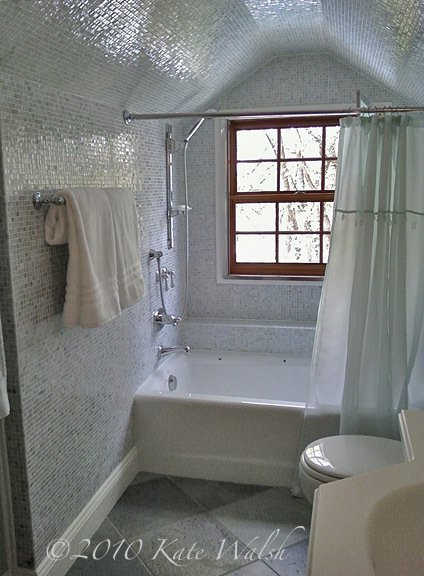 Every now and then I come across a bathroom that features tile across the ceiling as well as the walls. Here’s one example. The light shining across the tile on the three surfaces creates an inviting space here. Do you like it?